Last week I enjoyed a tour of magnificent Government House, Queensland's premier heritage home and I was also privileged to meet the Governor of Queensland, His Excellency the Honourable Paul De Jersey. Government House, also known as Fernberg, sits proudly on Fernberg Road, Paddington and is the working residence of the Queensland Governor, who resides at Government House with his wife. ‘Fernberg’ was one of the first houses built in Brisbane’s Paddington area and since 1910, has been the home and workplace of Queensland Governors. As a heritage-listed, State-owned residence surrounded by 14 hectares of Estate, it is an important Queensland landmark steeped in historical, cultural and environmental significance. Public tours take approximately 40 minutes and are held once a month but it is best to check the Government House website for exact tour dates. Photos are unable to be taken inside the house however visitors are permitted to take photos of the grounds and exterior of the house. 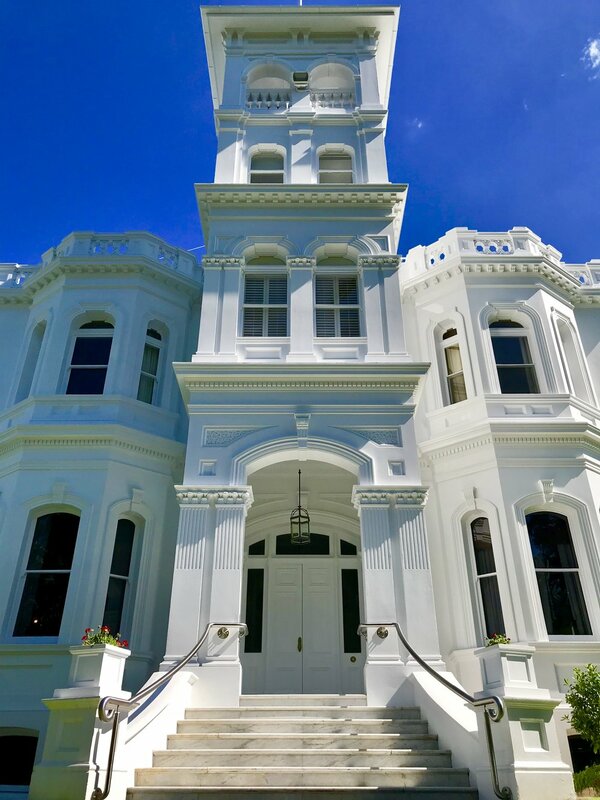 Take the opportunity to step inside this magnificent residence where many international dignitaries, including Her Majesty The Queen, have visited and you never know you may be lucky enough to meet the Queensland Governor, His Excellency the Honourable Paul De Jersey. Note - Free public tours of the House take place on the first Thursday of each month, see website link above for further details and to book a tour.